A new poll has indicated that children in the UK find it easier to purchase cannabis than alcohol prompting government critics to claim that the War on Drugs has failed. 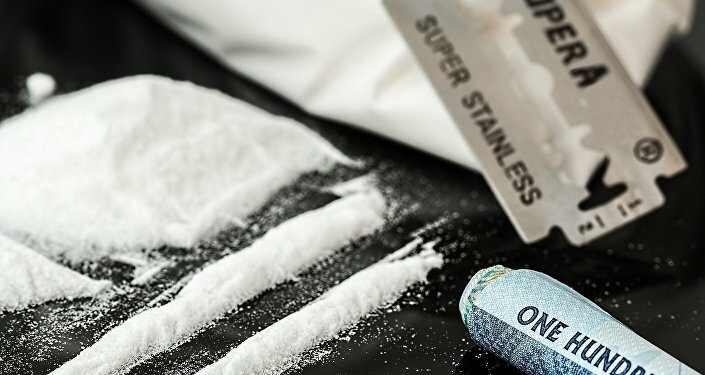 More than 1000 teenagers were polled by Survation for the policy think-tank Voltface, who expressed concern that children were being exploited by adults as a result of current drug policies. Sputnik spoke to Lizzie McCulloch, Director of Policy at Volteface and one of the authors of this recent report. Sputnik: How significant are these recent findings from Survation? Lizzie McCulloch: I think these findings are significant because they go against what our drug laws and policies are promising. The whole point why we have these laws and policies in place… really is to protect young people and safeguard these people from harm and that’s what we should be expecting from our cannabis policies and laws. I guess what we wanted to do, was put that to test and say ‘Ok, well how effective are they at safeguarding young people from harm?’ ‘Are they protecting young people’ and what we found is that they are failing young people. The reason why they are failing is because people can access cannabis relatively easily. We polled a thousand young people and found that cannabis can be accessed more easily than alcohol. The cannabis that they are accessing at the moment is highly potent, so it strong cannabis, and it’s a lot stronger than the cannabis that was around 20 years ago. What’s quite striking is where the cannabis related mental health problem is the primary problem, the main reason why this person is being admitted to hospital. The rate is increasing and is double that of adults, so it does seem to be that this is an issue that is affecting young people quite strongly and in some cases more than adults. I think what we’ve seen is that cannabis dealing is being facilitated by social media platforms such as snapchat and Instagram. The conclusion that we made is that our policies and laws towards cannabis is failing to prevent to young people from becoming involved in illicit and exploitative markets. Sputnik: On the back of this poll, we’ve found many agreeing with the findings. For example, Labour MP David Lammy said the report shows “the war on drugs has failed” and “all options” including legislation should be considered as a remedy. If this is true, what sort of policies should we be seeing from the government? Lizzie McCulloch: The key recommendations that we make is that first of all there need to be further investigations into how social media platforms are facilitating cannabis dealing, or dealing more generally. The government is introducing a code of practice at the end of this year which will introduce the standard of what can expect from social media companies and how they regulate should their platforms. We need to be looking into that more and asking how prevalent is this. We should be looking at this investigation into the code of practice. We also need to be looking at more opportunities and services for young people to prevent them from getting into dealing in the first place. And need to be trying to divert young people away from the criminal justice system, because we know the devastating impacts that a criminal record can have on a young person’s life chances. Sputnik: Whilst we’re seeing more calls from groups and people that drugs laws in the UK should be changed, we still have many people who are skeptical and somewhat against changes to current government legislation. What would you say to these individuals in light of these recent findings? Lizzie McCulloch: I would say our priority needs to be protecting young people – that’s what our priority should be. We are not saying we should relax drug laws, we’re actually saying we should tighten them. We need to regulate our drug markets, we need to take control of our drug markets because at the moment we are not really doing anything – we’re just kind of letting it run wild and that’s not a place we want to be in. Views and opinions expressed in this article are those of Lizzie McCulloch and do not necessarily reflect those of Sputnik.